Sony finally unveiled its PlayStation 4 console hardware today at E3, and it isn't looking very interesting to say the least. The slanted blocky shaped design looks outdated, a step back compared to Sony's PlayStation 3 Slim. By comparison, the Xbox One's $500 hardware is a clear aesthetic winner. We do like the new DualShock 4 controller and its touchpad awesomeness though. 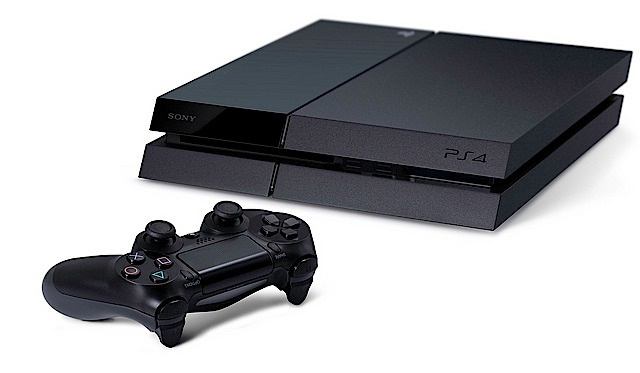 The PlayStation 4 is priced at $400, a more compelling price point compared to the Xbox One. PlayStation®4 was designed from the ground up to ensure that game creators can unleash their imaginations to develop the very best games and deliver new play experiences never before possible. With ultra-fast customized processors and 8GB of high-performance unified system memory, PS4™ is the home to games with rich, high-fidelity graphics and deeply immersive experiences that shatter expectations. If you don't recall, Sony announced the DualShock 4 along with the specs of the PlayStation 4 back in February. The console specs include an 8-core Jaguar AMD CPU with AMD graphics, 8GB of GDDR5 memory, a built-in hard drive for storage and naturally a Blu-ray drive. The specs line up with what you'll find inside the Xbox One, but we're not seeing Sony boast the same kind of claims Microsoft has made regarding its Xbox One's ultra-fast instant-on boot up times, user interface responsiveness and intelligent game-download technology...yet. The DUALSHOCK 4 controller incorporates a new highly sensitive six-axis sensor, as well as a touch pad located on the top of the controller, which offers gamers completely new ways to play and interact with games. Update: Looks like the official release date for the PlayStation 4 is December 31 of this year.